updated monthly -- or so.. Hundreds, if not a thousand or two, of bad-guys have been arrested by Federal Marshals since Feb 2015. That is the date when the Hague World Court recognized the new Nation State (often called the "New Republic" on the web). We do not have a list of those arrested. Instead we have the evidence that they are panicking and shooting each other (shooting witnesses to their crimes), causing suicides and mysterious deaths. Here is a report on 125 such "incidents". Notice that these deaths are post Feb 2015 (those reporting are not aware of that date). Also reported on are 30 murdered Holistic Doctors - - murdered by the cabal ao they can continue their Big Pharma money campaign. The Positive Side of 2012: Thank You! 2012 is the beginning of what has been a marvelous, magical time of change. Many folks talk about the negative, i.e., the past and how things seem to be getting worse. That is true, yet only if you let it be such for your reality. All that bad stuff is quickly ending. Here we keep you informed of the Positive Side of 2012. These are real news events that are unfolding more and more as this transition takes place. This is proof that the 2012 Event is truly happening now (2019). We are in it. Focus on this, instead, and become part of the solution and thus part of the new reality. That’s where it’s at. The current emphasis of the Federation is to reduce fear in the population, so that YOU can get through this upcoming transition successfully. Notice how these unfolding events are reducing your fear. If not, then you are reading the wrong news: See our YouTube Channel (The Positive Side of 2012) for the ongoing, and most current and efficient, relevant news. That channel is designed so that, if you review the videos in order, you'll readily see that the chaos in the world is unfolding according to a much higher plan. Otherwise here on this web page, start at the bottom and work your way up to see the evidence of intervention. 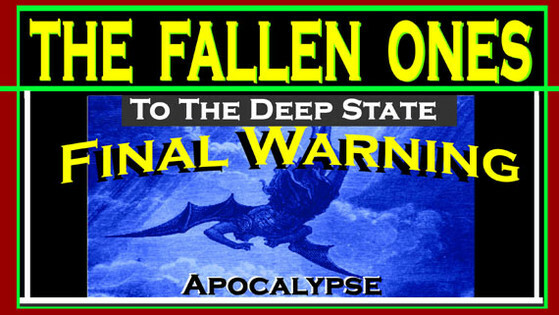 April 2019: After 1 year of 24/7 Missions to take down, layer by layer, the Deep State (which is the name we use here, but it is much more than that, expanding over 12 universes, yet predominantly the Matrix we live in here on Earth), FINALLY we are at the end - - and the DEEP STATE knows it, and is effectively resigning their efforts to put up any struggle. This is A TIME FOR CELEBRATING. This is a fascinating video explaining HOW we used the bad-guy's own people (keep your enemies close) to be able to get all the fragments removed. This video is jam-packed with information, including livestreaming of a most recent Mission on April 6th. TRUMPS "BUDGET ACTIONS" AT WORK. LOL! Trump declared a National Emergency February 15, 2019. This had nothing to do with the Mexican border wall (LOL!). This was to get $$$ for the Space Force, which is actively hiring now! The Space Force consists of the Aerospace companies (we have taken over all of them and their spaceships - of which you've been kept in the dark about. Even Hitler had space ships!). Also the budget shutdown in D.C., since it went past 30 days, allowed Trump to lay off (You're Fired!) the NSA, FBI, CIA, etc. -- all the agency heads that were involved in child trafficking, the debt slavery of you and me, etc. These are the bad guys. This has all been done quietly. 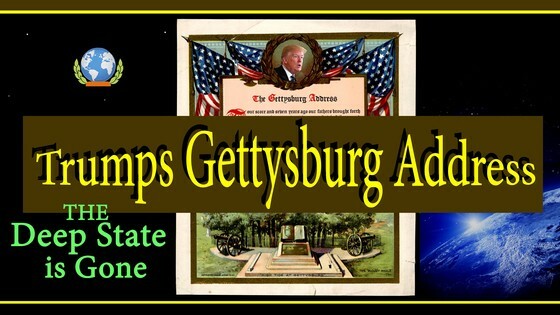 Trump is paving the way (he is told what to do by the Galactics) for the new President to come in any day now, and totally dismantle the U.S. government, and install a system truly for the people and by the people. The A-Team is holding it's breath in anticipation. Meanwhile, this video explain our true history (our battle to get the planet back from the astonishing enemy that has plagued us for 500 Million years!) AND what's ahead for you and me on a more personal level. 7 November 2018: The A Team continues working with the Galactics to remove the A. I. (artificial intelligence virus), which has plagued humanity for eons, and especially since 1996. We continue to make progress, and this video reveals the current status. The rituals performed in Sports, Religions, Holidays, Politics, etc., are NOW the primary source of Loosh, i.e, the primary source of fuel for the A.I. It is time for us to get educated on this and cease these behaviors. There are TWO EMERGENCY ALERTS (from Galactic Command) herein. The 2nd of these is calling up the 144 + 144,000, i.e, to get ready for the Ascension Event. Many have awakened since the last time we did such a roundup, and it is now time to report for duty (every soul on this planet has a soul contract). 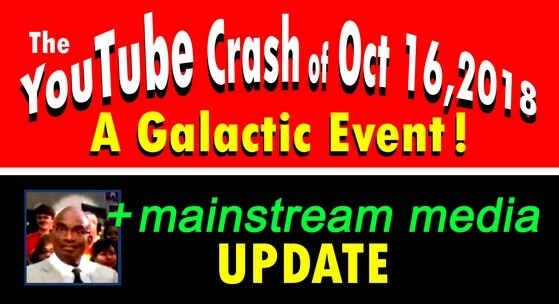 26 Oct 2018:The Galactic rebooting of YouTube is just the beginning. Google, Facebook, etc. will follow close behind as the events unfold in getting America back (as well as the world, as well as the Universe) from the bad-guys. We've taken over AT&T, etc. The mainstream media continues to plunder as this election comes closer, knowing fully well that Trump will have to go down with the Deep State beforehand. Lots more in this jam-packed video. & Trump Must Go Down with it! September 1, 2018. The mid-term elections are here, and Trump is seizing the opportunity to get his message out: The Status of the Deep State (which includes the Mainstream Media). Here, we dissect a short speech, and being you the real message in between the lines. Open your eyes to what's going on. 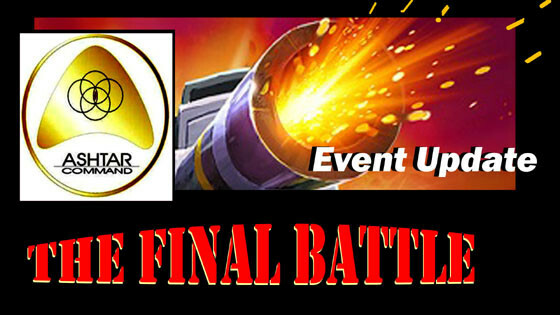 The is the status of the event. Galactics are Making 3D Arrests ! August 22, 2018: The Opening of the Lion’s Gate Portal (8/8/18) is VERY REAL, and the Galactics are using it to complete major 3D interventions (Arrests, Equipment, etc.) as this EVENT unfolds. Get the details here straight from the A Team. Alex Jones - GONE !! August 16, 2018: Listen to the A-Team "Morning Coffee", as they discuss the Mainstream AND Alternative Media. We (the good guys) effectively "own" the media, and are making changes accordingly. The media is unfolding right before your eyes, getting more and more good-guy. See video. July 5, 2018: (The Secret Space Program ): The SSP's capabilities has deteriorated to a desperate level, thanks to the work of the Galactics and the A-Team. The SSP's primary weaponry now is hand-help scalar weapons, that basically microwave your brain and heart. And their primary target is the Universal Mother Divinity, i.e., a single human. She, in turn, is protected by the Galaactics (a 550 million space ship fleet with the most advanced technology, including 5D). Hear Mother in this video, as she painfully continues to lead as scalars continue frying her brain. Forgiveness - Critical to your Ascension! April 21, 2018. Part I of this video discusses the 4th Dimensional beings who are right in front of you on TV (congressmen, Hollywood, religions, etc.). Elvis and JFK were murdered, but today with the advanced technology, they can simply replace individuals with look-alikes. Part II is Sin and Karma, and explains why/how you can get closure on issues in a fraction of a second - - even though you spent years struggling with it. April 5, 2018: March 30,31 & April 1st was the BEGINNING of the Event. Over these 3 days, the "D-Day" launch began. If you are familiar with baseball, we brought in the closer, which is the "A Team", a team of a few individuals who are directly linked with the Federation and beyond, ALL OF WHOM are working 24 hours/day in a coordinated team effort. 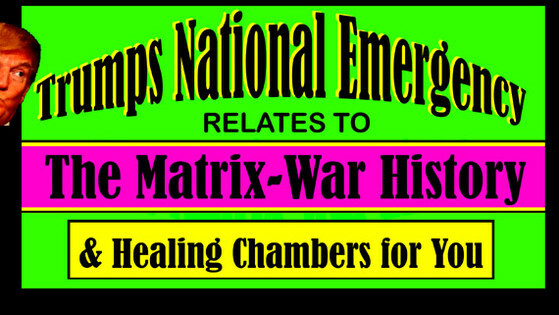 April 1st marked the beginning of many missions (not unlike World War II bombing missions) to systematically eradicate the operations of the etheric cabal, returning the matrix and universe to its intended purpose. Subscribe to the channel and the Patreon program will be up by month's end. Via Patreon you will have access to these missions. Earth's Axis is Tilted - - WHY? March 1, 2018: The exact same thing caused the Biblical Flood (Noah) and the Atlantis Flood - - and it is occurring right NOW and has been for the past few years. The cause is the earth's axis tilting. HOWEVER, the earth axis is NOT actually tilting It is and it is not, so get the fascinating details in this video, i.e., learn how the earth's crust has actually broken off from the core. This explains all the quakes/volcanoes, the weird water levels, the BOOMS, how Pangea drifited apart. The earth is in THAT stage right now. March 10, 2018 N. Korea is a fabrication of the cabal. The purpose was to keep the world in fear (in order to create Loosh). There are no souls in N. Korea. Everyone is a hologram doing whatever they are told to do. They are literally puppets. The Light Forces will be defusing the situation, and Trump and Kim Jong will eventually meet, and the cabal will be no more. The Secret Space Pgm "Surrenders"
Feb 12, 2018: The Secret Space Program surrenders the Sub-Lunar space to the Federation of Light. The Federation of Light already had ownership of the beyond-lunar space for several years. The SSP technology will be used to benefit mankind per the rules defined by the Galactic Codex. The sub-lunar space is now "Confederation Domain". Earthquakes: Galactics Destroying Underground Bases ! Jan 28, 2018: As the Event Date Approaches, the take down of the cabal's Undersea and Underground reaches a new level of cooperation between Planet Earth and the Galactics - - to finish these off once and for all. Learn that a single underground tunnel runs from Colorado to the Vatican. Mother Earth is using Lava, yet this videos shows you how another weapon is employed. Dec 12, 2017: On Nov 22, Trump employed ex-Marines to raid the CIA Headquarters in Langley, Virginia. This is the culmination of the U.S. Military White-Hats' efforts that began in 1979 - - to Get America Back from the cabal. The battle has now officially begun. Stock food and water, etc. This is the real deal. Expect more fires (see below), more shootings, etc., as a desperate cabal refuses to give up. This video is a major milestone, summarizing 2 years of reporting on our end, and provides a jaw-dropping overview of Putin's actions, U.S. Military's recent actions in Afghanistan, the above Trump actions, and (please note) the sudden burst of sexual harassment claims. The latter is oriented to taking down the mainstream media, while these other actions take down the dark government. Also the Global Currency Reset will take care of "Rothschild", and the Panama Papers will help take down the corporations. Fasten your seat belts, and again stock food, water, etc. Nov 10, 2015: The California Fires were intentionally set by the Cabal, and the data clearly shows that these were not normal fires - - being selective in what was burned, as well as being assisted by near-hurricane-force winds. See the video. Also: The Vegas""shooting" as well as Texas, New York, NYC (happening at the same time) are clear signs of a desperate cabal. Their goal is to maintain fear and divisiveness in the population. This affects our consciousness (our "current" in the electric universe) and YOUR job is to not let that happen. Is the Trump campaign guilty of election collusion with the Russians. No! Papadopoulos pleaded guilty, in the Robert Mueller Investigation, to lying under oath. Although the 30 year-old George Papadopoulus, a recent college graduate and volunteer in the Trump campaign, met with a Russian "professor" and thus had knowledge of the Clinton hacked-emails, the Trump campaign managers properly avoided that route in the campaign. Here are the details. Thus the irony is: Hillary and the DNC are the only ones guilty of Russian election-collusion. No wonder she was so upset at losing the election. Had she won, none of this would have come out. But she doubled-down via using this dirt to win the election. Now she is in double-trouble: BOTH the Robert Mueller special counsel investigation AND the House Intelligence Committee investigation have fingers pointing directly at her and the DNC. Oct 27, 2017: The power structure of the cabal is crumbling and now THIS Major Blow will AWAKEN the MASSES - - and weaken the cabal that much more. Hillary is guilty of virtually everything she accused Trump of during and after the campaign, such as Russia Collusion and MUCH MORE. For example, $145 Million was paid to the Clinton Foundation by the Russians in exchange for the U.S. government approval of Russians (Putin) getting the Uranium Deal (20% of the US Uranium production). Also Hillary and the DNC paid Russian officials (thru backdoor channels including a company Fusion GPS) $9 Million to have those official create stories about Trump and the Russian prostitutes, Trump colluding with Russia on the election and more. 10-29-17 - The Bank Records of FUSION GPS (who was the go-between company)will be revealed -- So the axe is coming down. Oct 6, 2017: 3 weeks ago on 9/11, a mysterious 4chan user who went only by “John” made a series of (at the time) overlooked posts. He warned users to stay away from any gatherings of large groups of people in the Vegas or nearby Henderson areas.....The article goes on to say who will benefit from the shooting. YouTube channel WeAreChange does a great job of presenting this info and more. You are not going to get any real story from the mainstream media. These shootings, at least many of them, are a desperate cabal regardless of how they may appear, Perhaps some, instead, are people freaking out as this transition approaches and their mental states indeed become more unsettled. The combination of these two probably explain 80% or more of these shootings, regardless of what you hear in the mainstream media. China Turns Desert into Lush Soil ! Sept 20, 2017 As part of this 2012 transition, we will be irrigating deserts sands with free-energy desalination of seawater. However, China has accomplished this WITHOUT that water! China is leading the way in such technologies because (in part) there is no cabal seizing those patents and hiding them forever, or murdering people who attempt such endeavors. Many such technologies exist and are simply waiting for the cabal to be gone. July 11 2017: The Associated Press announced that Putin and Trump have agreed to a ceasefire in Syria at the G20 Summit in Hamburg, Germany. Since then it's been clarified that the ceasefire applies to southwestern Syria in an effort to get aid inside. Just 2 days later,July 10, Tillerson (Sec of State) re-emphasized that Ukraine is high priorityy. The Deep State wants Ukraine to be independent and join NATO - - so they can put missile defense systems in - - pointed at Russia and, of course, Russia does not want that. Why do they want missiles in Ukraine? This is nothing but fear mongering of the masses (you and me). And more so, the Deep State simply wants to make money off the missile weapons sales. There will be no nuclear war:  Putin has been on board with the Light Alliance for years, and has no interest in starting a nuclear war, or war of any kind;  The US Military is not part of the Deep State as of Feb 2015, and will not launch any nuclear missiles. The UFOs flying around have been instructed (by the higher forces ruling the upcoming 2012 Transition) to shut down any and all attempts at nuclear exchanges. Thus, for any of you readers who are in fear of nuclear war - - celebrate because it ain't gonna happen. Here's another celebratory UFO link, and supporting the US Military and demonstrating its cooperation with the UFO and the Light Alliance. Death-Rate from Opiates Exceeds that of Car Accidents ! June 25, 2017: It is astonishing. Car accidents have been the leading cause of deaths for many decades, followed by heart attacks. Now at the top of the list is opiates. Many of these deaths are everyday people like you and me, who may accidentally take an extra pill, and then simply stop breathing at night, momentarily. Meanwhile, you have the Deep State drones, flying across the ocean from Afghanistan, full of opium to feed their fabulous business of addicting the country to opiates. Many places, including Baltimore, are in crisis mode. Country-wide efforts to reduce opiate usage is resulting in shortages and skyrocketing prices - - for those pharmaceuticals which help reduce deaths from accidental overdoses. April 21, 2017: The "Currency Reset" has been going on, behind the scenes, for decades. The intention is to hit the Cabal with the final blow, i.e., to get rid of the US Federal Dollar, so their money is useless. At that point they are out of power. Note that their power structure has been destroyed already. This video reveals that (i) the world banking structure has been now fully taken over by the Good-Guys, (ii) A new currency, called the SDR, is starting to replace the Federal Dollar for international payments such as oil, (iii) it is being implemented slowly and voluntarily so that there is no impact on you or me, and (iv) the Light Alliance has guaranteed their will be no economic collapse. This is all being phased in over, perhaps, a year or two. 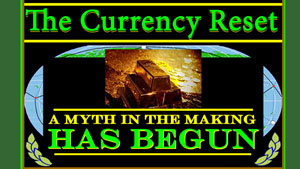 It is still questionable whether the "final act", i.e., changing all the world currencies into gold-backed currencies, will occur before or after this 2012 Transition. Vladimir Putin, who is very much a promoter of world peace, reacts to Trump's absurd Tomahawk Missile attack (on Syria), calling the NATO countries a bunch of bobbleheads, who just nod in agreement with every move of the U.S. This video is Russian TV. Rex Tillerson, Trump's choice for Secretary of State, had to visit Russia (for the first time) moments after this attack (poor guy), and had to be coached by the Russia foreign minister on the absurd Deep State agenda now being continued by Trump. 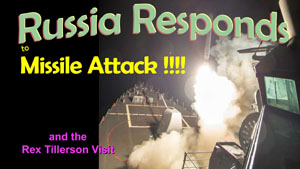 In all of this you can certainly tell that Russia has their act together, fully aware of the 2012 Transition as they are getting help regularly from the Light Alliance to continue promoting world peace. March 20, 2017: Welcome to the Spring Equinox, 2017, a time when many ancient worldwide structures, such as Stonehenge, burst true with the light of the Sun and reminder of the Universe. Let that be the case for you as well. This 2012 transition is happening and the Magic Day is just around the corner. 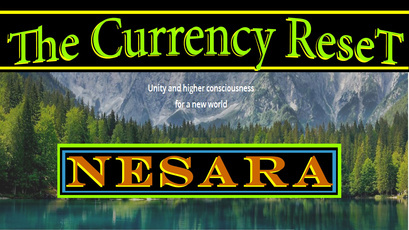 The impact of the worldwide NESARA program is most important AFTER this 2012 Transition. Here, for the first time, we explain events FOLLOWING this transition. NESARA, per se, is a billed passed by Bill Clinton in 2000, but it never went anywhere. The term NESARA is now used to represent the WORLDWIDE program that will be implemented by the Light Alliance. It is debt forgiveness and re-distribution of money to everyone on Earth to (1) help us get ready for this transition and (2) more so to help us launch the proper society following this transition. & the DEEP STATE Rejoices Accordingly !! April 7, 2017: Trump has now completely folded to the DEEP STATE, as indicated by his recent OK to use Tomahawk-missile-attack on a Syrian air base. This was in response to an ALLEGED chemical weapons attack by Assad's forces. Per the Russians, this was an accident, i.e., Syrian aircraft accidentally bombed a chemical weapons stash owned by ISIS. This is all deja vu: the EXACT same thing happened on Obama's shift, with the accusation that Assad was dropping barrel bombs on his own people. April 8: Here is a report by RT (the Russian Channel) stating that the attack damaged, but did not destroy, the air strip and only a few planes, and ISIS took advantage of it and launched an offensive. Meanwhile, the Young Turks, after reviewing all sides, think it was primarily a Trump move for political posturing. The picture above shows the poll results thus far. Please vote! This is an important part of effort (by the Light Alliance) to get people to confront reality head on - - and decide who and what you really are. The Deep State is celebrating, as this means $100 Million more that defense contractors can profit from. 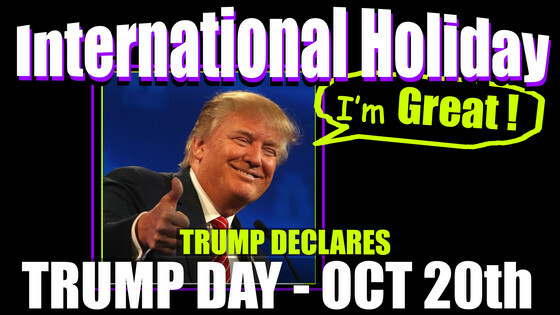 Trump is celebrating due to the political posturing. The public (you and me) are shaking our heads at what $100 Million could have done for the public. As far as I'm concerned (Tom Price, editor), I would not put it past the Deep State to have their own explosives in or near the chemical weapons storage and simply wait for a Syrian air craft to fly over in order to detonate & thus create the crisis, forcing Trump to take the action they have wanted all along. Trump should have waited. Simply reacting is immature and is the result of his sociopath behavior. Putin was aligned with the Light Alliance, yet has slipped over many months due to his impatience with the U.S. Deep State. Many, including Putin, hoped Trump would have a different policy than Hillary/Bush. This tomahawk incident has likely exhausted Putin's patience. Don't worry about a nuclear war. The UFOs will prevent such or put on a grand show for us all (You want disclosure? You got it!) if some idiot presses the nuclear "button". Antarctica is all over the web. The Pope, Obama, Kerry, Head of the Russian Orthodox Church, Buzz Aldren (Astronaut), Putin, and more have all traveled to Antarctica in recent months. Here is a sneak preview of what's in store. Indiana Jones will wet his pants. Whatever this is, it will rattle the world with awakening. We will not be the same thereafter. This is way beyond the realization that there are ETs. Israel, who has been kept militarily quiet by the world, launched a bombing attack against Lebanese targets in Syria. So the bad-guys (Israel) did it again, and this time Syria fought back. Russia denounced it (Russia is pro-world, thankfully, whereas the U.S. is still a dark government when it comes to the Mid East). Meanwhile UK troops went to Estonia to "Defer Russia Aggression" . What's this all about? (Honestly, it's about the U.S. having control over it's allies-- if they do not act in the U.S.'s favor, then they loose lots of benefits - such as our satellite capabilities. They need us and we know it.) See these headlines and more thanks to YouTube Channel WeAreChange. Please donate to that channel as they are a severe victim of YouTube cutting funding (advertising) to channels that confront the mainstream media - - trying to bring us the real news. This channel has a heart. Feb 24, 2017: Recall that Trump did not plan on winning the Presidency - - and that includes running the State Department. Thanks to General Wesley Clark, the truth has come out as to who IS running the state department. After you see this video, you will clearly see what Trump is up against. Any confrontations between Trump and the State Department (and there have been already) means that he will be confronting Bad-Guys in their effort to have continuous wars. The bad-guys make money from war by selling weapons to both sides. This is a huge motivation. The past couple of weeks has seen an exceptionally large Solar Wind coming from our Sun. 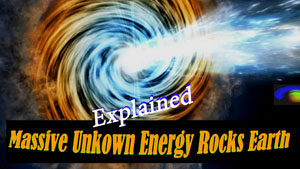 HOWEVER, that wind was blasted apart by this unknown source of Massive Energy, reversing the direction of that Solar Wind !!! Recall when the Mississippi River reversed direction in the 1811 Madras Earthquake. This is a comparable, but instead solar, event. Scientist do not know the source of this energy. However, it is clear to us at The Planet Daily News that this is likely related to the upcoming Galactic Alignment, i.e, the "2012 Transition" that is now only months away. 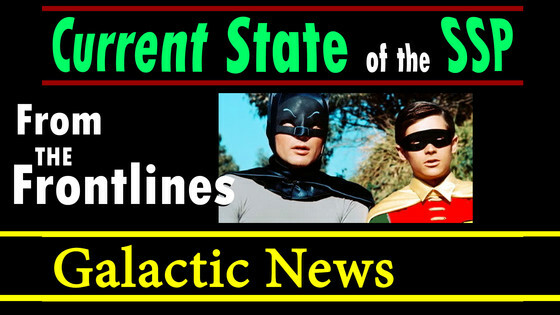 Click on the picture above to get our full story, which relates it to the recent volcanoes and earthquakes, and also the fact that the 7 Galaxies are now 99%+ in alignment. Scientist are in full agreement that this blast is not from the sun or any other known object. It just showed up out of nowhere coming from deep space. It's been called the "bad-guys", and that is probably the best description as it depicts humans and non-humans. 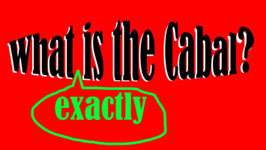 More recently we've used the term "cabal" to reflect that it is now only humans. That’s because the major power structures of the cabal have been destroyed (Search YouTube for QTZ1065). The cabal is still present in governments around in the world, and will not be eliminated until the transition takes place. Here is a review, from one of our earliest YouTube videos, describing the original "bad-guys". This includes aliens that resided in another dimension, i.e., they were never visible to us, and were instead the source of etheric meetings - - and were arguably the real "devil" as talked about by Jesus. They have been around for millions of years. Please click on the image above. This is the beginning of a series where we talk about the weaponry to take down the cabal, and all its puppets, once and for all.. There have now been at least 7 Galactic (UFO) intervention events relating to nuclear radiation and/or the associated nuclear missiles: (1) Aspen nuclear rain disappeared in 2013, (2) Quartz crystals used to eliminate Fukushima radiation at the Japanese plant (2011), (3) Lack of any Fukushima radiation in the Pacific or US West Coast (report date 2016); (4) Toyko shielded from Fukushima radiation or Tsunami, (5) Nuclear False-Flag event (see report below) whereby both the submarine was destroyed AND the radiation eliminated from its warheads (2016) (6) Missiles being clearly shot down by UFOs, and (7) Nuclear Missile Silos worldwide being shut down. Such behavior is one of the assigned missions of the Galactics, who are our neighbors in the galaxy. This is to reduce fear in the population so that we can get through this "2012" Transition, which is only months away. 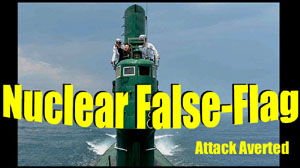 (1) No False Flags; (2) No environmental hits (including chemtrails), (3) No Assassination of key leaders, and (4) No nuclear events or weapons in space. In addition they are assisting with the currency reset, sometimes by person-to-person meetings with key persons. March 2016: An advanced Israeli Submarine was sunk by the U.S. Navy - - just before it launched a nuclear missile off the North Korean Coast. The Galactics (the UFOs occupied by our ET neighbors) notified the Navy and assisted them in locating it. After the U.S. Military destroyed the sub, the Galactics neutralized the nuclear radiation from the warhead(s). Dangerous (the Cabal) Israel had 5 advanced submarines. The number has now been reduced to 2 subs. According to an unverifed source, the other two were sunk off of the Mid East earlier this year. (Click on video below). Measurements were taken in 3 of these 4 cases, and in all cases the radiation levels thereafter was at or well below baseline, indicating that it was pure consciousness at work. As Bloomberg reports, Mark Johnson, The HSBC Global Head of Foreign Exchange Cash Trading was publicly arrested at JFK airport, New York July 19, 2016. He is "the first person to charged in the Justice Department's 3 year investigation into foreign-exchange rigging at global banks". Johnson, age 50, is from the UK and is a UK-USA resident. Stewart Scott, 43 and a UK resident, were both charged. The Light Alliance (Higher Beings) is very active in identifying and helping with the arrests and prosecution of cabal members in the financial arena. Such criminals cannot hide from this "Force". Most realize the game is over. See our YouTube channel's latest news for an overview of the Light Alliance agenda (Click picture below). Studies at Woods Hole and Berkeley Confirm ZERO impact of Fukushima on Pacific Marine Life or Humans. This simply confirms what we already knew - - that the Galactics are protecting us. These Galactics were unable to protect the immediate vicinity right after the disaster, but they did cooperate with the Keshe Foundation to reduce the radiation levels in the water thereafter. They also put a shield around Tokyo, preventing the Tsunami and Radiation from reaching there - - preventing a panicked Japanese government from evacuating Tokyo immediately after the disaster. Kai Vetter, a UC Berkeley professor of nuclear engineering, assembled a team of students and colleagues soon after the 9.0 earthquake and tsunami five years ago. Vetter’s team tested everything from rainwater to local cow’s milk, fish from nearby markets and kelp populations. Trace amounts of the radiation from the Fukushima catastrophe continue to linger, especially along the coast, but even at their peak, the radiation levels in the Bay Area never presented any immediate harm. “The levels of radiation were so low that they weren’t significantly different from the natural radiation people are exposed to from drinking a glass of milk or living in a brick building” . Along the California coast, he recorded levels of radiation from the disabled power plant in the range of 2 to 10 becquerels per cubic meter, slightly higher than the amount found naturally in the ocean before the event. There has been no evidence of significant impact, he said, on marine life or humans from that radiation. Here's the Link (San Francisco Chronicle) for the Berkeley/Woods Hole studies. The UFO information comes via the Light Alliance. The term NESARA is floating around the web. It seems to have the term “Prosperity Package” associated with it. What’s THAT all about? For some reason, it also seems linked to the Global Currency Reset. The ANSWER: If you have been following our YouTube Channel, The Positive Side of 2012, you could readily answer this yourself. NESARA is all of the Fear Reduction efforts (being implemented by the Light Alliance) that are associated with MONEY: for example, the fear of not having enough, no place to stay, no gas or car, hungry kids. Others are fearing a financial collapse. The Light Alliance has specifically stated that there will be NO FINANCIAL COLLAPSE. Thus there will be no collapse. Also there will be debt forgiveness. This has also been emphasized by Pope Francis. After the global financial reset, which is required to totally deflate the Illuminati, their wealth will be re-distributed to you and me and to help humanity around the world. This is all intended to take away our day-to-day fears so we can focus on being “in the heart” for the upcoming 2012 transition - - that is very close to taking place. There is no fixed timeline for these events, or specifics on how they will be implemented. It is all being coordinated by the Light Alliance and, in turn, they have to deal with the day to day hangups and realities that come from dealing with humans here on Earth. The term NESARA was generated in the year 2000. This was a bill passed by the U.S. congress in 2000, during the Clinton administration. It is now essentially defunct. Note that the fear reduction package is a worldwide challenge. However, its roots go back to 1500 AD (the Renaissance), when the Ascended Masters knew fully well that we would need lots of help in getting through this particular “2012” transition. This is still very much valid. Here is the link that provides the historical details on both the Ascended Masters as well as recent times, including 9/11. (GoldenAgeofGia.com) - This Link may Direct you Elsewhere. If so, then scroll down, and in the Search Box, type in "What is Nesara". Maslow's Pyramid is what NESARA (The Fear Reduction Economic Package) is REALLY ALL ABOUT. It is intended to satisfy the basic needs (the lower two levels in this pyramid) so that (for example) "the single mom with 5 kids in a slummy neighborhood can get out of that neighborhood, and into a better environment, where she can focus on the upper parts of the pyramid" - - i.e., so that she can focus on what is required to get her and her kids through this upcoming 2012 transition (and yes.. it is now 2016). She needs to learn to be of unity consciousness, which is being in her heart, and generating the Love frequency (See our video QTZ1057 as a starting point. 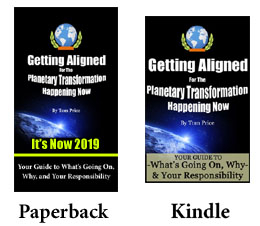 See our book "Getting Aligned for the Planetary Transformation" to learn much more). Search Amazon for "Getting Aligned". KAREN HUDES reports that the CABAL will loose its majority vote on the Board of Governors for the WORLD BANK (& International-Money-Fund or IMF). This is THE major punch-in-the-face for the Cabal regarding wealth-control of the world. As Tom Price reports: The bottlenecks in totally kicking out the Cabal in the financial system are (i) Brazil, where corruption politics (and a recent impeachment) is holding up implementation of the B.R.I.C.S. system, (ii) The Bank of International Settlements in Brazil – which is the “big daddy” of all the banks worldwide, and a major home-base of the cabal. It is being cleaned up; and (iii) having the above majority vote in the World Bank. Tom Price warns that voting for the reset is one thing, and that is what has been accomplished here. Doing the actual reset is another project, with its own set of bottlenecks and timelines, and will be reported on separately. Our Comment: Putin is very much on board with the Light Alliance, and his statements are consistent with the real knowledge. He spent a week with the Light Alliance getting indoctrinated (probably telepathically). They most certainly told him not to disclose this until the public is more ready. But.. apparently in his anger over being singled out via the Panama Papers, he let this slip. It is about time that disclosure occurred, so we are taking that position in our youtube channel "The Positive Side of 2012", and will be releasing more in-the-rabbit-hole disclosure material. The dark government of Israel has been shut down by the joint cooperation of Russia, U.S., and Iran. As a result, Israel has not fired a missile, flown a fighter plane, or embarked a ship during the recent Mid East intervention by Russia. As expected, however, the attacks on ISIS (ISIS is sponsored by Israel, Saudi Arabia, and Turkey and other cabal entities to create fear) continue in spite of the ceasefire. The goal is to continue cutting off this money supply, which comes from ISIS selling stolen oil. The 11.5 million pages of documents leaked from Mossack Fonseca Panamanian law firm was genuinely released by someone disgusted with the levels of corruption of many extremely wealthy individuals and corporations. It also seems clear that this person was very naïve to expect the mainstream press to fairly examine and disclose the names and activities of all the individuals involved. Since the cabal controls the media in most countries, all we’re seeing is the release of information about specific people such as Putin or Assad and others who the cabal is happy to paint in the worst possible light. It is important to note that no names of U.S. individuals or corporations have yet been revealed by the media. This has been facilitated by the International Consortium of Investigative Journalists who are funded by the U.S. Center for Public Integrity which is financed by the Ford Foundation, the Carnegie Endowment, Rockefeller family Fund, WK Kellogg Foundation the Open Society Foundation of George Soros, etc. So course they are not going to release anything about the cabal members’ names and operations which are included in the Panama papers. This is old news, but very relevant news. In 2012, tiny Iceland jailed its bankers and kicked out government leaders who were responsible for the financial crash. This is where the world is headed as we eliminate the cabal-ruled world, and kick out the Rothschild-type banks. See this short video. John Stumpf resigns. What's significant here is a congressional hearing actually led to such. This is not the case in the past, as such CEOs are let off-the-hook because of their compaign contributions to the politicians. This is just another sign that things are really changing for the better. Elizabeth Warren was very outspoken in her accusations. The longest-ever criminal trial in Ireland lasted 74 days and led to convictions for 3 Bank Executives. They received sentences ranging between two-and-a-half to three-and-a-half years. In 1871 the United States was secretly converted into a corporation. The Constitution was replaced by a corporate mission statement, which has only the cabal’s wealth in its interest, rather than the interest of the U.S. citizens. 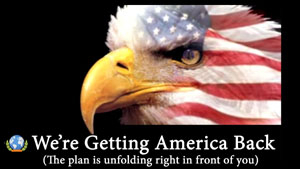 The above article (We're Getting America Back) reveals that the U.S. citizens have now abandoned that corporation. Here we reveal that World leaders are being instructed to not buy U.S. Securities, and thus force that United States corporation into bankruptcy. This is yet another avenue in the global effort to eliminate cabal funds. They have historically simply printed the money they needed - - using the Federal Reserve System, which was set up at about the same political time period - - 1913.